Bee Cave is a small town of about 5,000 residents located where Highway 71 joins with FM 620 and FM 2244. 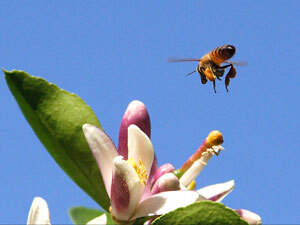 Early settlers named the area after they discovered a large cave of wild bees. In 1870, a post office opened, and the town began developing rapidly into the 1880s, with a steam gristmill, a cotton gin, a general store, a church, and a school. The population ebbed and flowed until more recent times, when it grew substantially as a western alternative to Austin living. Contact us directly if you have any questions about selling or purchasing a home in the Bee Cave area. Many residents of Bee Cave are relatively affluent, and the homes and neighborhoods reflect a distinctly upscale, hill country feel. A substantial number of homes are on larger lots with mature trees, and some have sweeping hill country views. New construction homes also are available, as are undeveloped lots, and a great deal of the constructed homes are relatively new. Bee Cave (see Bee Cave homes for sale) is about 15 miles west of Austin (see Austin homes for sale) in zip code 78738 (see 78738 homes for sale.) It is near the intersection of Highway 71, FM 620, and FM 2244. Bee Cave Central Park features a trail, a dog park, a playscape, a basketball court, shaded areas, and ample free space. It backs up to The Backyard. The Backyard at Bee Cave is an open air venue hosting live music concerts, such as by central Texas favorite Willie Nelson. Nitro Swim Center offers a 30,000 square foot indoor facility with an Olympic-size pool and competitive swimming programs. There are no golf courses in Bee Cave, but within four miles are Spanish Oaks Golf Club, Grey Rock Golf Club, and Barton Creek Country Club. The Hill Country Galleria serves as a hub for Bee Cave. Bee Cave City Hall and Bee Cave Library are onsite at this multi-use center, as are dozens of open-air-centered stores, such as Dillard’s, Barnes & Noble, Banana Republic, and restaurants such as Iron Cactus, Café Blue, and Amy’s Ice Creams. Also onsite is a Whole Foods Market, a Cinemark 14 Theatre, St. David’s Emergency Center, and a splash park.